Eric Holder’s speech on race discrimination: Inequality, racism, and disparate impact. The problems of racial inequality are getting more complicated. Eric Holder explains how. Attorney General Eric Holder speaks on the anniversary of Brown v. Board of Education, May 16, 2014. Those are good ground rules. One thing they ought to inspire is a clear-eyed sorting of the issues Holder discussed. When we talk about prejudice, discrimination, and inequality, we’re talking about related but different things. The further we advance toward rectifying discrimination, and the harder we push, the more difficult the issues become. 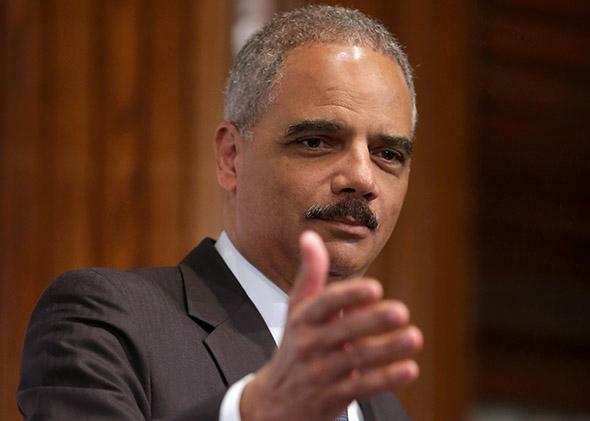 Holder, speaking to graduates at Morgan State University, recalled the history of American racism. First came slavery: “those who built this nation while it held them in chains.” Then “overtly discriminatory statutes like the ‘separate but equal’ laws of 60 years ago,” under which Holder’s father “was denied service at a lunch counter and told to leave a whites-only train car.” Then policies that were officially neutral but affected whites and minorities differently, such as strict voter identification laws. Holder added one more charge to the indictment: “the quiet prejudice of inaction—and the cold silence of consent.” This phrase covers tolerance of inequality, regardless of its causes. These four categories, plus the original two (slavery and Jim Crow), don’t exhaust the full range of racially problematic practices. A more complete list might distinguish discrimination by law, direct discrimination in public accommodations, indirect discrimination in public accommodations, economic segregation, cultural segregation, overt expressions of prejudice, and covert expressions of prejudice. One upshot, no matter how you draw up the list, is that as you advance from the original to the more advanced problems—from law to culture, from bias to sincere neutrality, from direct racial effects to indirect racial effects, from commission to omission—the remedies and ethics become more complex. The injustice of zero tolerance in schools isn’t nearly as clear as the injustice of housing discrimination. Implicitly, Holder acknowledged this in several ways. First, he tailored his language. Many people apply the word racism to all the practices mentioned above. Holder didn’t. He used the word only once, to refer (not by name) to the views of people like Sterling and Bundy. He reserved the term bigotry for the same class of offenses. For the more complex cases, he preferred the terms racial inequality and equal opportunity. Second, he underscored the difficulty of recognizing indirect discrimination. He worried that many disparate-impact policies, which “have the appearance of being race-neutral,” are “more subtle” and “less obvious” than hateful outbursts “we can reject out of hand.” Holder emphasized the harm done by some of these policies. But his analysis also reflected a reason why it’s harder to build a consensus to change them: Blaming disparate outcomes on a uniform school discipline policy is a lot less clear than the bald-faced outrages of the civil rights era. Third, Holder alluded to a shift over time in the nature of the equality agenda. Bigoted outbursts “are not the true markers of the struggle that still must be waged, or the work that still needs to be done,” he argued. “Nor does the greatest threat to equal opportunity any longer reside in overtly discriminatory statutes.” Those statutes and overt prejudices are no longer the greatest threats, and no longer occupy the struggle to be waged, because, as Holder pointed out, they’ve been struck down or “marginalized.” The calls are getting harder because the easy calls have been made. We can help give every child access to quality preschool and help them start learning from an early age, but we can’t replace the power of a parent who’s reading to that child. We can reform our criminal justice system to ensure that it’s not infected with bias, but nothing keeps a young man out of trouble like a father who takes an active role in his son’s life. … Parents will have to parent—and turn off the television, and help with homework. … Business leaders will need to create more mentorships and apprenticeships to show more young people what careers are out there. … Faith leaders will need to help our young men develop the values and ethical framework that is the foundation for a good and productive life. These shifts in the equality agenda—from bigotry to structural disadvantage, from obvious wrongs to unintended effects, from legal discrimination to culturally mediated cycles, from the prejudice of action to the prejudice of inaction—don’t excuse indifference or failure. But they do change the character of the problem and how best to address it. Holder is right that we should speak frankly about these complications, not wish them away. They’re a challenge to us all.